Once you have these you will require an FTP client software, a good example of this (free) would be Filezilla (http://filezilla-project.org/). Simply download and detonate the installer and then follow the on-screen prompts. You are now in a position to “Downlad” the website code from the FTP server. 2)	In the case of Filezilla enter your ftp location, username and password in the boxes at the top and then click connect. 3)	You will see the FTP windows just below, the right hand side shows the contents on the Internet and the left hand side shows the local information. 5)	Navigate in the left hand side window to where you would like to store the downloaded content. 6)	Right click on the highlighted files and folders on the right hand side and click download. 7)	This will now start to do things, and download each file one by one to the location you have specified on the right hand side. Now you are going to need an HTML editing application, you can simply use Notepad but I would suggest “Bluefish” (Free) which is an excellent application that is available on both Linux and Windows. The Bluefish Project is located at http://bluefish.openoffice.nl/ simply click the download link and read the instructions for your operating system. In the case of Fedora (not familiar with others) you can use the package installer, or issue a yum install bluefish command. Open Bluefish, select file open and then navigate to the location you specified to download your content to in the previous steps. The main file (Homepage) will usually be called index.htm, index.html, default.htm or default.html but could be anything. Once opened make your changes in the main window and click file save to save. There are many hundreds of great HTML programming guides on the internet a good example is http://www.utoronto.ca/webdocs/HTMLdocs/NewHTML. But the safest thing to do is to try things out on a test website. Remember this is an offline data set we are fiddling with, so if you do make a complete hash of it, then simply go back to filezilla and re-download the page in question. We have had a long chat in our office and we wanted to tell you all about our choice for out “Software of the Year” award for 2010. 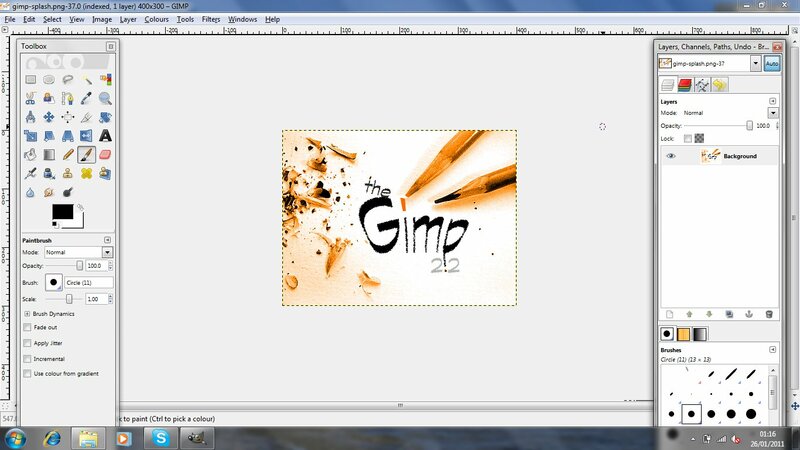 The piece of software we have decided to award this to is “The Gimp”. This is essentially an image editor that contains just about all the advanced tools you would find in any decent image editor. There are tools for touching up old photos, designing your company logo quickly and simply, creating interesting and eye catching design pices for your website and many more features. What makes this standout? Well it is distributed under a GNU license, and therefore is free. Just download and install, currently it is available for both Linux (it’s home operating system) and now Windows, including Windows 7. We are helping our customers during the first two months of 2010, by offering all customers the chance to get our great services at a massive discount for January and February. So we are slashing our labour rate until the end of February to £25 + VAT per hour, which is a saving of £20 per hour, this offer is not just for the first hour, one call out, or new customers, but for every customer new and old, for everyjob, for as long as the job takes, for as many instances and call outs as you like. All you have to do to get this great price is quote “JANSALE” when your talk to our staff. This is a great offer for you to test us out and see ust wht we can do for your company. We look forward to helping you soon. You need to be covered by a valid TV Licence if you watch or record TV as it’s being broadcast in a shop or office. This includes the use of devices such as a computer, laptop, mobile phone or DVD/video recorder. Usually you only need one TV Licence to cover your shop or office. However, in some cases certain areas may need a separate TV Licence. Please check below to ensure you’re correctly licensed. It costs £142.50 for colour and £48.00 for a black and white TV Licence. So if you or somebody in your company streams “Live” media from the Internet and your company is not covered by a License then as the business owner you are responsible. We hope this goes someway to clarifying the situation. Hard Disk Drives are as important as a staple diet. They are involved with everything that happens on your computer, the Internet and pretty much anything you access over a network. Hard Disk Drives like most things in computing and vary widely in type and cost. However they all largely rely on the same basic principle, a circular spinning platter consisting of a substrate coated in a magnetic layer, across either a, or several, magnetic heads fly on an armature to read and write information. There are many different types of hard disk, ranging from the very first MFM type drives, to IDE or PATA as they now seem to be called, SATA, SCSI, and SAS, also there are some new developments in SSD Drives which we will come to later, the designation is largely but not entirely derived from the interface used to communicate with the drive. MFM Hard Disk Drives – These were very early devices, the largest MFM drive was no larger than 100Mb, small by the standards of today, but when these hit the market they revolutionized computing. An MFM Drive can be spotted by the use of two ribbon cables connecting the drive to the PC. They generally had a very particular sound which was the result of steper motors used to move the head across the platter. IDE (PATA) – Stands for Integrated Drive Electronics, which was a result of a lot of the drive controlling hardware was moved from the controller onto the drive itself. This gave much greater compatibility, MFM drives had to employ specific cards to interface with the computer, these cards knew how to write to specific drives. IDE was a mini revolution in the fact that the controller could now tell the drive “Write this” and the drive itself would work out how to do that. This made drives cheaper, larger, more reliable, and most importantly easy to upgrade. The “P” in PATA stands for parallel which is the way data is sent to the drive. Several data channels on the cable means that information can be sent down each, parallel to the others. IDE Drives had a single ribbon cable which attach them to the PC infrastructure. IDE Drivers were responsible for taking storage space from about 100Mb up to nearly 1Tb. SATA – Serial ATA, these drives are very much like the slightly older IDE, except that they have a much smaller connector, the information is sent in a serial fashion. SATA drives have taken home computing through the 1Tb barrier. However they still rely on the same principle of a spinning magnetic platter. SCSCI – SCSI Drives are normally found in servers, they have been available for as long as IDE hard disks and again rely on a spinning medium inside to store data. SCSI Disks generally spin slightly faster, IDE disk usually spin around 5400RPM however some can go up to 7400RPM, SCSI Disks range from 10,000RPM to 15,000RPM. SCSI was the first system to implement RAID or Redundant Array Of Inexpensive Disks, this involved using a number of SCSI Drives to do various Mirroring or Stripping Functions to provide either higher speed access or redundancy in the event of a failure. The most common RAID level is RAID-5 which consists of at least three disk drives, in the event of a failure of a single disk that disk image can be rebuilt using a new disk and the information on the other two drives. This provided a good level of fault tolerance for networked storage space. SAS – Are the modern serial replacement for SCSI offering smaller footprint drives, higher reliability and cheaper hardware. SSD – Stands for Solid State Disks, in these the entire substrate and head mechanism has been replaced entirely with electronics so there are no moving parts at all. These give much better power consumption, faster access times, and hardly any weakness with relation to mechanical shock. However they are (correct at the time of writing) very expensive. Usually found in systems which require maximum throughput where cost is not a factor, and very high-end laptops (Sony VGN-TZ32VN) as an example. MTBF – This stands for Mean Time Before Failure, hard disk drives although technology has made them more resilient, faster, larger, and generally better. However the fact that the manufacturers still quote a Mean Time Before Failure time should be your first clue about the reliability of hard disk drives. They are not, they can fail for many reasons, however when they do the results can be spectacular. Every IT company out there will have a story of someone who did not see the point in backing up, as they had not done it for three years and nothing has gone wrong and then bang, the hard disk fails, and they have lost all of their information. If a hard disk is exposed to mechanical shock the head con hit the platter quite easily the tolerance between the two is microns. When this happens you might not notice any side effects, it could have happened in an area of the disk that may not be is use. If this is the case then the PC may seem normal, until the unit tries to store something in that area of the disk, and then can’t retrieve it. Ok so I lose a file, big deal, well not exactly, see that is maybe ok if it happens to be a user file which is stored there, but now take the example where it is not, maybe it is a registry file. Next time you boot your PC it fails. What can I do to look after my Hard Disk? Well being extra careful around them is a good start, mechanical shock is the largest killer. The biggest thing to remember is to back up your files no matter how reliable your system is, and how trivial you think this may be, things can change in the blink of an eye. Platter Clatter – This is the term which has been coined by IT professionals to describe the noise a hard disk makes shortly before the read/write head takes a final, but fatal, nose dive into the platter of the disk. This is a very specific sound which is sometimes a clicking noise or a scraping noise. If the drive can still be accessed this is the time to take a final back up and get the hard disk drive unit replaced. If you continue using the disk drive then chances are at some point within a short space of time it will stop. There are a lot of data recovery companies out there who can recover data from broken hard disk drives, the Open University suffered a major fire which wiped out a hard disk drive which contained important information, a recovery company was able to recover around 90% of this information with a single shot read process. This is a single shot process which totally destroys the disk being read. An engineering company in Corby suffered a failure on two RAID drives with in a very short space of time, however a data recovery company was able to recover all of the data from the RAID Array however the process cost a little over £20k. Smart Phones Are They That Smart? Need your e-mail on the go? Like to keep track of your appointments and to-do lists? Then you may be in luck. By using a smartphone and a Microsoft Exchange server this dream could be closer than you may think. 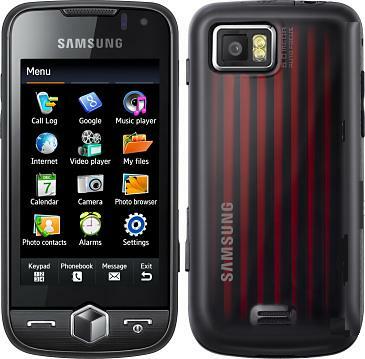 We have been busy this week testing a new breed of smartphone, the Samsung S8000 or Jet. The Jet features an 800Mhz processor, slick AMOLED display, and all the usual trimmings you would expect in a phone from one of the worlds leading manufacturers. The unit integrates tightly with Microsoft exchange meaning that your e-mail, tasks, contacts, and to-do list is synchronized via the mobile network with your corporate Microsoft Exchange Server from wherever you happen to be. This means that you will always have an up-to-date diary and people at the office can book appointments for you knowing that in near realtime they will appear in your phone diary. As a phone, the units we tested were connected to the Vodafone network which produced excellent coverage with second to none call quality. The phone was able to produce a high quality bluetooth link to our TomTom devices providing all of the features including Traffic Updates and Hands-Free calling. Application availability is a little limited, however there are promises from Samsung that more applications for this unit are on the way, currently there are nowhere near as many applications as there are for the Jet’s main competitor, the iPhone. The screen is crisp and high-resolution and produces and easy to read display in all of the lighting conditions we tested it in. Mobile web-browsing was adequate, the one touch zoom feature was invaluable. However, mobile web-browsing is still limited and in no way a substitute for a laptop and 3G card. Samsung have added a 5 Megapixel camera to the Jet which does produce great images for a phone, again however the lack of a xenon flash unit ment that the Jet did struggle to maintain good picture quality in low lighting conditions. Video calling worked very well providing a good clear view of the remote person and excellent audio, however it should be noted that both units need excellent 3G or better coverage to achieve this. Overall we were very impressed with the Jet, so much so that we now have a fleet of them here at IT-MK! We found that the niggles with the user interface were outweighed by the Jet’s sheer speed. This is easily one of the fastest phones we have seen. The unit is more than capable at flicking through screens without too much lag between touching the screen and things happening. We would happily recommend this unit to our customers as it feels well made, works quickly, integrates with exchange and yet still maintains excellent, useable phone features.